The controversial bill was defeated in a vote of 140 to 134 in the Canadian House of Commons in October 2010, opposed by the minority Conservative government and a number of Liberal and NDP members failed to vote in favour. After almost no progress on the international corporate accountability file in Canada for almost a decade, last January, the federal Liberal government announced the creation of the Canadian Ombudsperson for Responsible Enterprise, or CORE, with a mandate to investigate allegations of human rights abuses linked to Canadian corporate activity abroad. CORE was broadly welcomed, including by human rights groups. But over a year later, there is still no Ombudsperson. Then last week, The Globe and Mail reported that after being charged by the federal government for bribery and corruption in Libya, SNC-Lavalin repeatedly lobbied Prime Minister Justin Trudeau’s aides to settle the charges out of court, and that his office allegedly pressed then Attorney General Jody Wilson-Raybould to make it happen, bumping her from the attorney general’s post after she refused. The turn of events raises troubling questions about the potential blowback for Canadian democracy when a homegrown company alleged to have acted above the law abroad starts bringing a similar ethic back home. Given the topic and corporate actor, it felt like a flashback to 2009 when I testified before the House of Commons Standing Committee on Foreign Affairs and International Development on why effective corporate accountability mechanisms are both a pro-business agenda for Canada and good for the maple leaf brand. In 2015, SNC was formerly charged by the federal government for corruption. The rap sheet includes offering millions in bribes for contracts in Libya. Below is a transcript of my testimony to the House of Commons Standing Committee from 2009. Although I spoke those words 10 years, ago, the rationale for strong corporate accountability mechanisms has never been more relevant. Let us hope that there will be no need to re-post this in 2029. Mr. Chair and members of the committee, it’s truly an honour to be here today, at the heart of one of our country’s most important deliberations. Before introducing myself, I’d like to make one point crystal clear: the fact that you might be for Bill C-300 doesn’t mean you’re against Canadian mining and oil companies; in fact, I think it can mean quite the contrary. 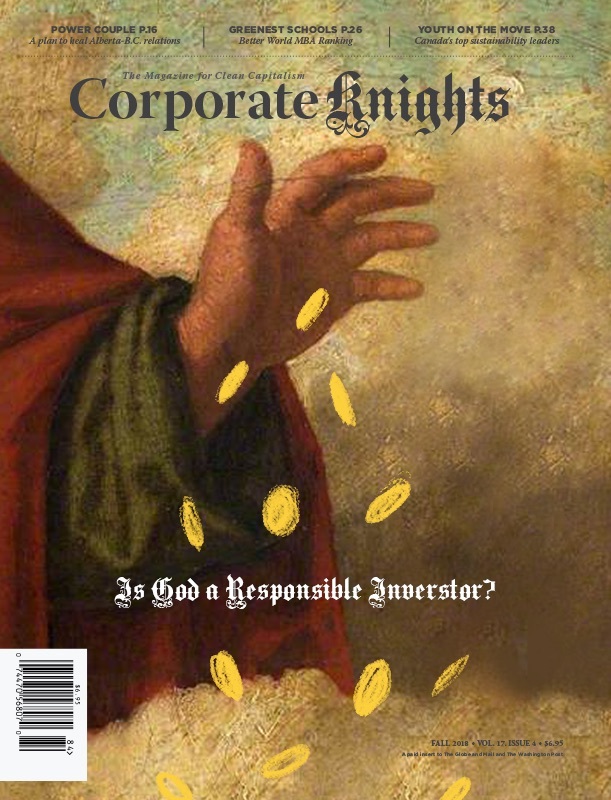 I have a company called Corporate Knights. I’m the president and editor of Corporate Knights. It was co-founded in 2002, and we’re founded on the premise that in today’s global landscape, companies must be at the heart of our big solutions or there are no big solutions. We also believe there’s a strong self-interest for companies to engage in commerce in a way that strengthens social and political stability, because no company can succeed in a society that fails. In short, we are big supporters of Canadian companies, their leadership and innovation, and their potential to drive Canada’s prosperity in ways that can make us all proud. Over the past eight years, we have tracked corporate Canada’s performance on social and environmental matters through our annual surveys, such as the best 50 corporate citizens in Canada, the global 100 most sustainable corporations in the world, which is announced each year in Davos during the World Economic Forum, as well as investigative reports assessing Canadian companies’ performance against the international code of ethics for Canadian business and other international responsible business standards. Our work has taken me to the bottom of giant open-pit mines in the Congo, to the vast plains of the Gobi Desert, right to the middle of oil pipelines in Ecuador. Companies by and large respect and give credibility to our trademark, which is fairness. This credibility is something we’ve earned that provides us access to company executives and company sites. It’s also why mining and oil and gas companies have purchased hundreds of thousands of dollars of products [ads and benchmarking reports] from our company . I would like to use this opportunity to cover two main points. The first point I’d like to cover deals with some of the global currents that define the context of the marketplace in which our Canadian companies operate today. The second point I would like to make concerns the difference that Bill C-300 could make. On the first point, today the size and power of companies paints a whole new swath of grey between states and enterprises: 29 of the world’s 100 leading economic entities are companies, according to the UN Conference on Trade and Development. The majority of the world’s untapped resources lie in unstable states. The quest for resources is increasingly becoming a foreign pursuit for Canadian companies and companies everywhere. As Canada’s resource levels recede, our firms have a choice: go where the resources are or go out of business. According to the United States Energy Information Administration’s International Energy Outlook, roughly 80% of the world’s oil supply will come from non-OECD countries by the year 2025. Many of those countries rest in weak governance zones. Today, as we’re all familiarly aware at this committee, 75% of the world’s exploration and mining companies are headquartered right here in Canada. We also have a revolution in information and communications technology, which has put companies under the microscope—or YouTube, as the case may be—and what happens on the other side of the world in a remote jungle in the morning can be beamed onto your computer screen or TV that afternoon. The fifth thing that defines the global context in which we operate is that the corporate accountability mandate has achieved an increasing traction. Over the past decade there has been a raft of international corporate performance standards and guidances, ranging from the IFC performance standards to the voluntary principles on security and human rights, to the calls for corporate accountability laws by Supreme Court Justice Ian Binnie, to the meticulous work by John Ruggie, special representative of the Secretary General on human rights and transnational corporations. If you look at these things, you see a consistent pattern of an increasing articulation of what is expected from companies these days, and nowhere is this truer than in Canada. Bill C-300 lands smack dab in the middle of all this. These are the four differences I think Bill C-300 can make, and these differences are all positive differences for companies, in my view. First, I think it could help clear the air for our most honourable companies. The fusion of NGOs and the ICT revolution produces many allegations. A credible mechanism that would make informed decisions would help to stop false accusations in their tracks, helping to protect the reputations of Canadian companies. Second, right now it is assumed that if you buy a junior mining company or oil company, you’re buying the assets as well as the liabilities, meaning the social and environmental liabilities. These liabilities have a big price tag. The presence of a credible accountability mechanism and administering body would offer tremendous incentive for Canadian junior companies to more closely adhere to international human rights and environmental standards, which would mean less value being destroyed and less time lost. It is a win-win for the juniors, who could sell their assets for higher prices, and for the majors, who would not have to deal with the headaches often embedded in their acquisitions of junior properties. 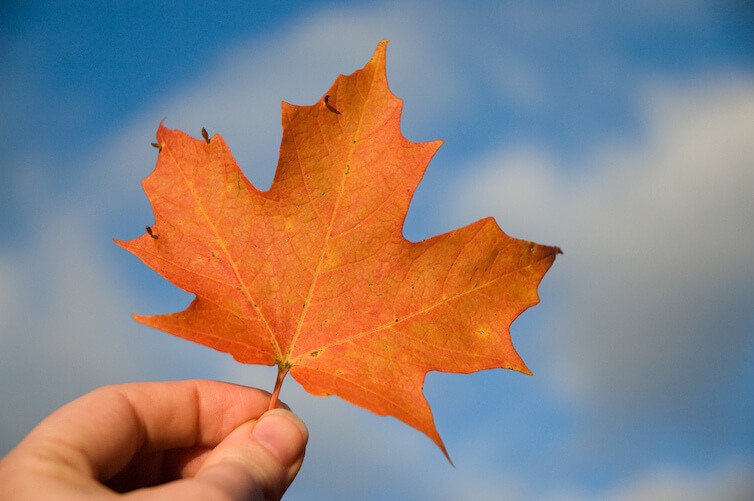 Third, this bill could offer a maple leaf quality assurance premium to investors. Let me explain. After the recent financial meltdown in which up to $50 trillion of wealth vaporized, investors have become increasingly risk averse. The downside of this risk aversion is that there’s less capital flowing to emerging markets, as presently most investors just paint all companies with the exact same risk discount based on sovereign risk no matter what their practices are, but the major liability issues at most sites are related to the way the company operates, not the context in which it operates. This is something that checked out in my experiences and those of other experts I’ve talked to, who examined hundreds of sites around the world. The current investment practice, aside from unfairly tarring leading responsible companies that happen to be operating in a difficult environment, leads to sub-optimal risk-adjusted rates of return for investors. With a credible accountability standard for companies listed on the TSX, investors could be willing to pay more than, say, for a comparable company listed in the London exchange, because they would have more confidence that they were not buying a poisoned bag of goods. Fourth, I think this bill could offer a maple leaf quality assurance premium to host countries and their stakeholders. We are the world’s miners. Mining is not about technological advantage. Any company can do it. In the scramble for resources, what distinguishes a Canadian company from a Chinese company is that a Canadian company has a competitive advantage when it comes to safety, social issues, respect for human rights, community engagement, contribution to local employment, and environmental protections. Bill C-300 is not perfect, nor is it enough, but by making a move to a credible accountability mechanism, it sends a strong signal that Canadian companies will be on the winning side of the seismic shifts shaping our global economy.